Congratulations your home is under contract and you’re on the road to closing, now what? In order to close on time with no hiccups you’ll want to make sure you’re prepared in advance. Don’t wait until the week of closing to hire a moving company or let your closing company know you won’t be in town the day of closing. Below we have put together 8 tips for a timely closing when selling your home. Do you have a mortgage and/or line of equity on your home? If so you will have to provide the contact information and account number for each account to your closing company so they can pay off all accounts in full at closing. This is something that should be done as soon as you go under contract. Do you have any maintenance contracts on your home? If so you’ll want to find out what happens when you close. Can the maintenance contract be transferred to the buyer? Can you get a refund for any unused portion? Did you make any changes during your ownership that required a permit? If so make sure you have the closed permits readily available. If you are not the original owner, did the previous owner make any changes that required a permit, if so was a permit opened and closed? While most closing companies will do a permit search it’s always best to make sure permits are closed ahead of time to avoid any possible delays. If you’re still residing in the property and need to move out do you have a moving plan in place? If not you’ll want to put a plan together immediately and decide if you’re going to move yourself or hire professional movers. Regardless of the route you choose don’t wait until the last minute to decide. What’s your marital status? Will your spouse, ex-spouse or partner have to sign closing documents? Make sure all parties are aware of your marital status so there are no surprises and you have time to gather any necessary paperwork. Who needs to sign closing documents? Even if your spouse isn’t on the deed they may still have to sign closing documents. Where is your money going? Once you close you’ll have to decide how your proceeds will be distributed. Do you want a check, so you can deposit it into your bank account or do you want the closing company to wire the funds into your bank account? Will you be attending closing? If so find out if you’ll have to bring any documentation or identification with you. If you are unable to attend closing will you be doing a mail away or giving someone power of attorney? This decision should be made weeks prior to closing so the closing company can plan accordingly. Selling a home can become overwhelming, but if you hire a top Realtor in your area they will be able to guide you through the selling process. However, just because you hire a Realtor doesn’t mean you won’t have tasks to do throughout the process, so make sure to be proactive and on top of things at all times, don’t wait until the last minute. If you think this article, Tips for a Timely Closing when Selling your Home, was an interesting read please give it a share! There is no guarantee a home will make it to the closing table, but Paul Sian shares how to prevent a home closing failure. Although some sellers may sabotage their home sale as Sharon Paxson explains. So everyone will needs to be on the same page and get to the closing table. The above real estate article “Tips for a Timely Closing when Selling your Home” was written by Michelle Gibson of Wellington Florida Real Estate. Specializing in residential real estate since 2001 in Wellington and the surrounding area. 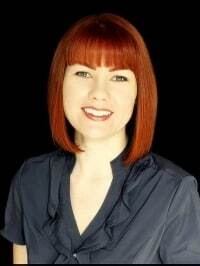 Not only does Michelle assist buyers and sellers, she assists landlords and tenants too. She would love to share her expertise and guide you through the entire real estate process. Congratulations your home is under contract and you're on the road to closing, now what? Here are 8 tips for a timely closing when selling your home. Great tips Michelle. Sellers will have a much more pleasant closing experience if they follow your advice.